Today was another quite amazing day with the guys and girls of Eclipse Gymnastics here in Rushden, East Northamptonshire. I have been fortunate to have worked with the club for several years and I have seen some of the gymnasts grow within the club but it is still some of the new gymnasts that surprise me the most. Their latest event, their annual internal competition, was no different with another group of new gymnasts to pictorially capture. Whilst shooting you have to concentrate pretty hard to anticipate that next move, where the gymnasts will be, how long will they hold the move and how long do I have to get the shot (photograph). However, this year’s competition saw a couple of routines where one of the gymnasts learned the whole routine the day before and one just a few minutes before the routine was to be presented to the judges. It’s hard enough getting good images in the low light conditions that I have to work in, but my hat goes off to those youngsters that can produce a competition level routine and present it to judges within a few hours or minutes – a-m-a-z-i-n-g-!!!! I guess that you could say that my job is pretty easy compared to such professionalism shown by such gymnasts. Anyway, with the shots in the bag it was home for some post processing and to upload the gallery to Eclipse Gymnastics’ growing library of galleries. Parents can get to the gallery via the image included in this blog posting on www.m4photo.co.uk. You’ll need the gallery username and password which is only available from one of the club’s officials. I hope that you guys enjoy the images as much as I enjoy capturing them for you. I look forward to our next outing. As usual the Eclipse Xmas Show video has taken longer than anticipated to produce, mainly because it has been produced around paying work during my evenings and most of last weekend. However, the first proof DVD has been given to Shoney and Terry for them to check for errors and spelling mistakes and then we should be good to go once the DVD label has been designed. In the meantime, I am pleased to announce that the preview video is now ready and uploaded to my M4Photo video channel and it an be found here – https://youtu.be/of5evvVFDoc. This has been a labour of love and I have really enjoyed putting this show DVD together. The more that I watch it, the more I appreciate the skills and acting talents that are to be found within the club. All of the kids did themselves proud and I hope that most families will support the club by buying one of the DVDs and keeping a lasting memory of the performances. The DVDs will only be available through the Pemberton Eclipse Gymnastics club, so please enquire at the club or through the club’s Facebook page. I;d like to extend a big thank you to everyone involved in putting on the show and to Bob Grant who captured the footage for me on the day. I hope that everyone enjoys this years DVD. It has been a busy couple of weekends at Eclipse and AoR, and this weekend I was over at Kings Lynn Gymnastics Club with Eclipse for one of their main external competitions. 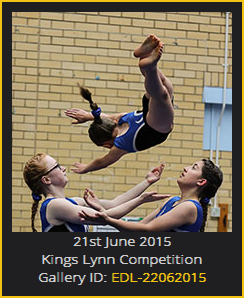 The competition in Kings Lynn is one of the highlights on the Eclipse calendar and for some of the more experienced gymnasts, it is a chance to go up against some stiff competition. For the younger, less experienced gymnasts, it is a chance to gain some valuable motivation and inspiration. That came in spades during the lunchtime break when some of the best Kings Lynn tumblers put on an amazing display of their talents, including one lad who took on a move which ended in four rotations about the body – simply stunning. That said, this year the gymnasts from Eclipse seem to have gone above and beyond. Medals seemed to be coming left right and centre, from just about every category entered and every age group. At one point the podium was completely blocked out (bronze, silver and gold) by nine of the girls from the club and getting some presentation photographs was often night on impossible with so many people moving around the podium. The kids work really hard throughout the week on their acro routines and their tumble skills, and the coaches work just as hard to help get the best from the kids. This weekend was a reminder of just how hard everyone at Eclipse gymnastics works, how that commitment on both sides can pay off and how a few people can help to enrich the lives of so many kids and their families. Eclipse is a wonderful friendly club and all credit to Terry and his team who have built up this ‘family’ of gymnasts over the last few years. Anyway, the photographs from the weekend are now online and available in the usual Eclipse Gymnastics photo gallery. If you need the username and password, please ask one of the coaches. For child protection reasons, I’m not permitted to share the login details with people. I do like a challenge and #Eclipse Gymnastics really do throw me some challenges at times. Tonight’s task was to capture a decent squad shot of the guys that will be heading off to London in a week or so to perform at the Annual #Gymnastics Festival. Sounds easy enough until you throw in the fact that there are 32 kids who all need to be smiling (sort of) and looking in the (rough) direction of the camera. Then throw in the low light of the training room and on top of that have the guys balancing five high – yes you heard right, there are five tiers in the show stopping pyramid that forms the finale to the busy routine. Anyway, this is Eclipse and I am learning that almost anything is possible. Not only did the kids perform the move brilliantly several times for me, but they also held the move for a good half a minute so that I was able to take countless shots in the hope of getting everyone looking the right way and smiling. I ‘think’ we got an image in the bag though. The routine itself is busy, busy, busy with something going on somewhere all of the time. This was the fist time that I had been at the club to watch this new routine and I could not resist getting in amongst the gymnasts whilst rehearsing their routine to get some additional shots. I am sorry to anyone that was put off by me getting right into the middle of the routine and it amazes me how all the kids carry on as if there was no camera being waved around in front of them. Again all credit to a really professional squad. 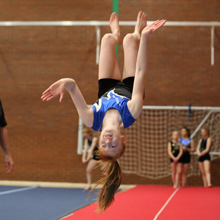 The photographs are now uploaded and available from the Eclipse Gymnastics gallery on the M4Photo.co.uk website. Please contact Terry or one of the coaches if you are one of the gymnasts and you need the password. Today saw me heading back to the Pemberton Centre and an attempt to capture some high speed action on the club’s tumble run. Hopefully, the better lighting in the main hall will prove adequate and we’ll get some flying gymnasts for the clubs website. Following the refurbishment at the Pemberton Centre, the lighting is a lot better in the main hall, but even so, it still proved a pretty big challenge to keep the gymnasts in focus and stop the action to get some reasonable shots. So, 70-200mm 2.8 lens mounted onto my Canon 5D MkIII and with AV priority mode dialled in with 500th second and ISO set to Auto (Uhh Ohh), we’ll see what we get. The session included a mix of Acro and Tumble shots because there were a few new groupings trying new things on the Acro floor and a few images caught my eye whilst moving around the hall. Those have been dropped into two different galleries for ease of browsing. However it was the tumble run that too most of my time and attention. During the shoot I switched between AV priority and manual mode and experimented with both auto and manual focus. The camera speed and high ISO appeared to be working out fine, even ISO values into the 10,000 mark looked OK and the images would later be cleaned up a little in post processing – another reason why onsite printing is not always going to work and why many professional event photographers stick to the safe stationary or slow moving shots in good light. 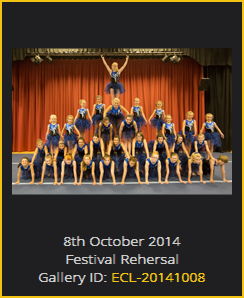 That said, the remit for today was to get the kids off the ground and the images for use on the club’s website. These images would therefore be smaller in size and noise (graining) would be less of an issue. Overall, I was pretty happy with the results form this shoot. My only disappointment was focusing. For posed images you always focus on the eye and let the rest flow. However, when you have someone running at you and then flipping and twisting through the air at speed, you don’t have time to frame the image, let alone pick put the person’s eye. Manual fixed point focusing was also not working because not all of the gymnasts took off and landed in the same place, so it was out with the rule book and back to pot luck – all too often the case with this sort of photography. Inevitably, the cutting room floor soon became littered with deleted images, but we still managed to secure a nice number of reasonable (and some very nice) shots given the nature of the shoot, lighting conditions, etc.